“Irish eyes are always smiling,” or so the saying goes—and you’ll find plenty of genuine and hospitable people on the Emerald Isle. While you may not find a pot of gold at the end of a rainbow, there is something truly magical about the country, and Dublin is no exception. 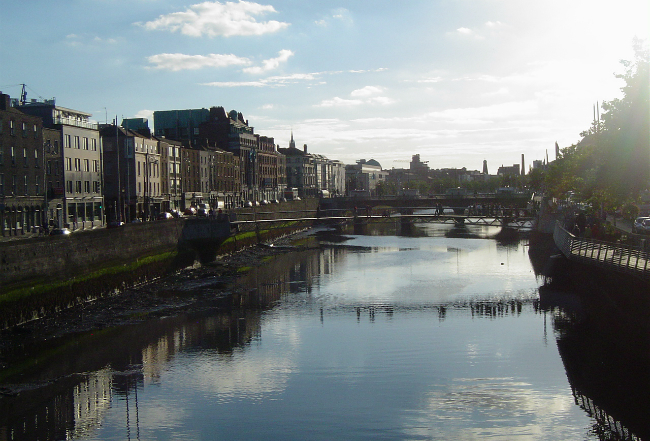 Explore the sights, enjoy the “craic”, and kick back with a Guinness at a real Irish pub. You might just forget to leave, ensconced in the warmth of an Irish welcome. 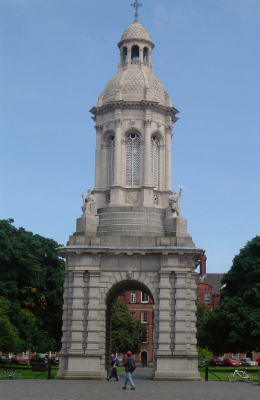 For history buffs or Celt-enthusiasts, your first stop should be Dublin Castle, which was first built by the Vikings in the late 10th-century and was rebuilt and expanded upon in later centuries. Take a tour of the castle to view its interesting architecture and opulent furnishings. Particularly of interest in the castle may be the Chester Beatty Library, which has a collection of early manuscripts and texts, but you’re better off heading to Trinity College to see the Book of Kells, a famous 9th-century illuminated manuscript. Religion has played a very important role in Ireland’s history. Dublin is home to two spectacular cathedrals. First, head to Christ Church Cathedral. Next door to Dublin Castle, this is the oldest building in the city—be sure to check out the crypt, which predates the cathedral! Then head to St. Patrick’s Cathedral , the largest church in Ireland. Interested in Irish lore? Check out the National Leprechaun Museum and gain insight into the myths and legends that Ireland is founded on. You may also be interested in Dublinia, located next to Christ Church Cathedral, which will tell you all about Dublin in the Viking and medieval times. Of course, no trip to Ireland would be complete without a pint of the country’s famous brew, which tastes different in Ireland than it does anywhere else in the world. 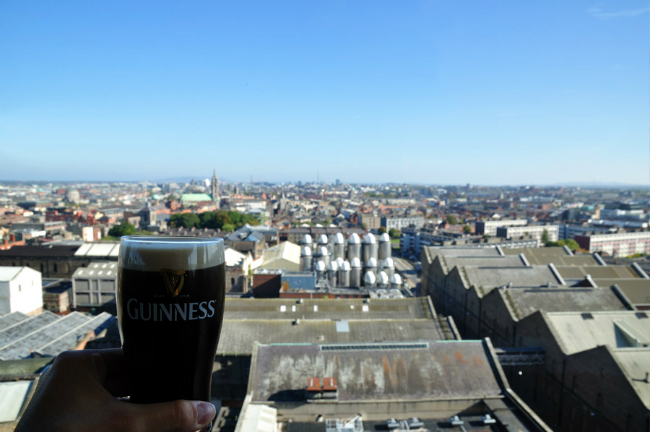 You can find it on tap at nearly any pub or restaurant, but undoubtedly the best place to savor a pint (or half-pint) is at the Gravity Bar at the top of the Guinness Storehouse. Take a tour and learn about the history and brewing of the stout, then marvel at the incredible 360° view of Dublin as you sip at your pint and meet new friends from all over the world. Aside from Guinness, Ireland is also known for its pub grub, music, and atmosphere. 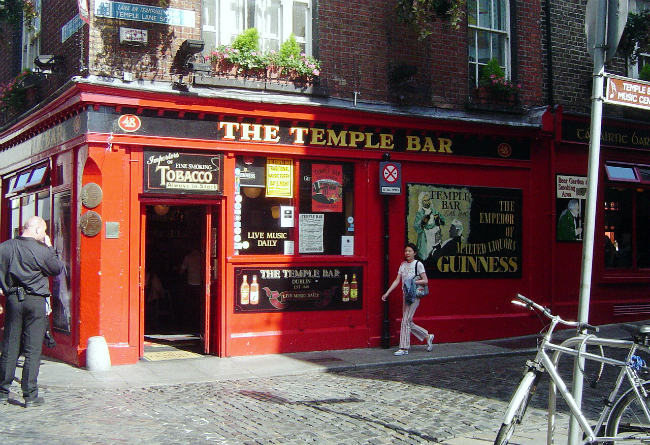 You’ll of course find no shortage of Irish pubs in Dublin (or really anywhere in the world, for that matter! ), but particularly great music can be found at The Brazen Head (the oldest pub in Ireland), the touristy but fun Temple Bar, or The Cobblestone. If the tin whistle, fiddle, and other instruments of Irish impromptu music sessions are calling you home, you might be interested in the Traditional Irish Music Pub Crawl, which offers both phenomenal music and some interesting information about traditional music in Ireland and its influence on world music. If you have a chance, rent a car and head up into the Wicklow Mountains to Glendalough, a 6th-century monastic dwelling that is remarkably well-preserved. There’s great hiking in the mountains and around the lake, and it gives you a chance to see some of the renowned Irish countryside without straying too far from the city. The foliage is beautiful in the fall. If you’re dreaming of your upcoming trip to Ireland, need more ideas, or are feeling nostalgic for the time you spent in this wonderful city, you can check out Rick Steves’ show about Dublin available for free streaming on Hulu. (Note that to use Hulu abroad, you may need to set up a VPN!) No matter how long you spend in “Eireann’s Emerald Isle”, you’ll always find yourself dreaming of the next time you’ll find yourself in a pub for a lovely pint, surrounded by that lilting Irish brogue and the sweet sound of a fiddle tuning up for a long night of revelry. This is a guest article from Jess, the founder of Tripelio.